Which problems facing the world cause which other problems? Which problems cause the largest number of other problems? Which problems are 'root causes? 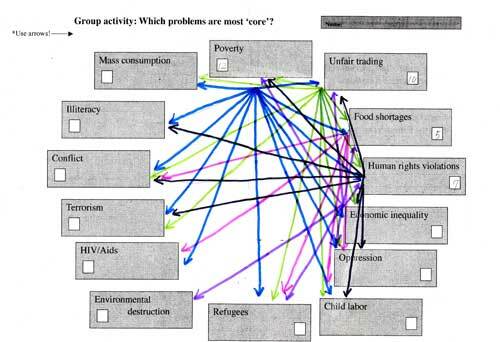 Which problems are mostly caused by other problems? Here is an example of today's activity. There are many possibilities. There are many right answers.